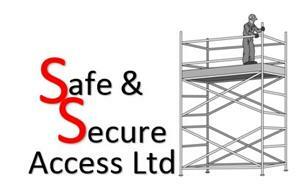 Safe and Secure Access Ltd - Scaffolder based in London, Greater London. Thank you for visiting Safe and Secure Access. We specialise in providing safe scaffolding services with good access for both domestic and trade use. We can erect traditional scaffolding and we are temporary roof specialists. We beleive Safe and Secure Access is one of the most reliable scaffolding companies in the area, we pride ourselves on our quality of work and extremely competitive pricing. We specialise in providing access for the heating and plumbing industry. We are also fully trained in health and safety and risk assessment and have public liability indemnity of up to £5.000.000.00. Safe and Secure Access is a family run business, we are based local to Wimbledon but service all areas within the M25 radius. Whether you require scaffold hire and erection for a residential property or for a large housing development we can help. No job is too big or too small. Call Us Now On 07711582417 to get a free, no obligation quotation.